Usually, when you think of a renaissance hat, you traditionally think of a ladies hat. 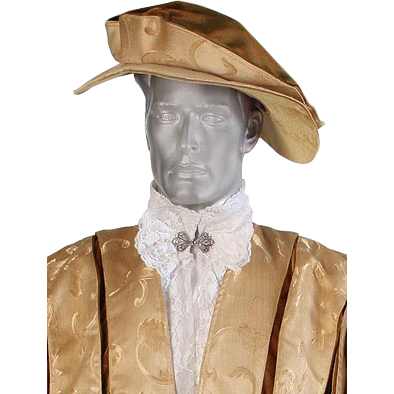 But that is not the only style offered, as gentlemen can have a great renaissance hat too, in the form of this Floppy Renaissance Hat, which goes great with all manner of historic looks. This hat is loosely inspired by a muffin-top hat, featuring a puffy crown and a wide brim that droops on both sides, allowing for a unique style that is puffed up one side and a bit flatter on the other. The hat is also crafted entirely in high quality velvet and baroque damask brocade fabrics, ensuring that it not only looks stunning, but it also feels great, too. It is offered in five different colors, and in three sizes. 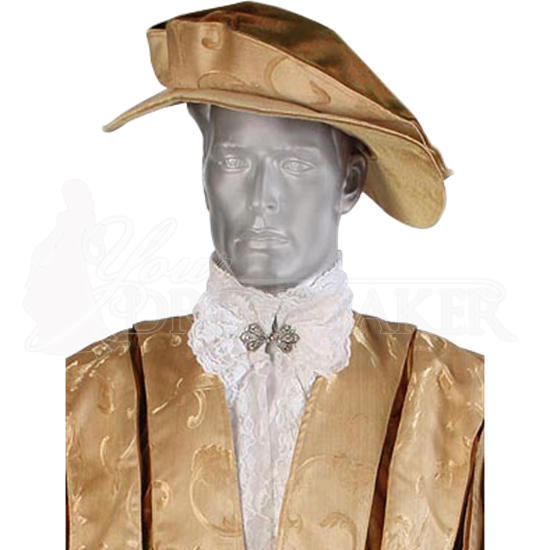 With the appropriate color, gentlemen, you can easily match this Floppy Renaissance Hat up to your own look and finally see what you have been missing, by completing your look with a period-accurate hat.